Software Technology Park of India, Bengaluru has developed a service called Track Me that uses QR Code technology. Passengers can scan a Track Me QR Code in a public transport vehicle (cab, bus, autorickshaw, etc.) to get details of the driver. The service aims to increase safety of passengers in Bangalore, including the 40,000 women working in the IT sector. Track Me is app-based service (available for Android devices) that helps a passenger to get the driver’s information and share it with friends, colleagues, or family members, who can also track each ride. Track Me is also aiming to work with the local law enforcement authorities to enhance its offerings. Like Bengaluru, cities across the world are taking steps to enhance the safety of citizens. What is the point of Track Me if you are riding an Uber or Ola in Bangalore? Both apps are equipped with emergency SOS buttons. Agreed. But what about passengers riding autorickshaws, buses, or office cabs. Track Me is targeted towards these un-secure modes of transport. 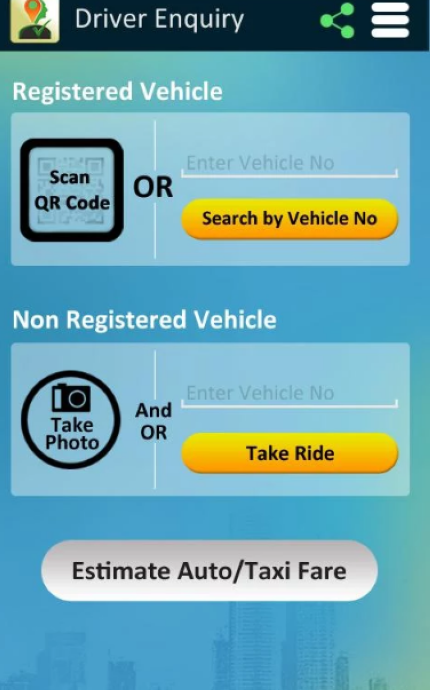 The app can be used to secure your ride even if the driver is not registered with Track Me. How does Track Me work? If a driver registers with Track Me, there will be a Track Me sticker/card with a QR Code in the vehicle. Look for this sticker/card the next time you take a ride. Scan the QR Code with your app to get details of the driver. If satisfied with the information, click on Take a Ride and enter destination. Note that the driver will need to confirm the ride using their app. Even the vehicle is not registered with Track Me, it is still possible to take advantage of Track Me. You can click a photo of the driver with the app, enter the vehicle number, and add destination. Track Me and emergency contacts will get notified as soon as the ride starts. On reaching your destination, tap End Trip. The driver will also do the same using their app. Track Me and your emergency contacts will again be notified with a text message. With the launch of Track Me, passengers, especially women, can feel much safer when they travel in Bangalore, especially at odd hours. Registration with Track Me will also deter drivers to harm to their passengers. Get started by downloading the Track Me app on Google Play.